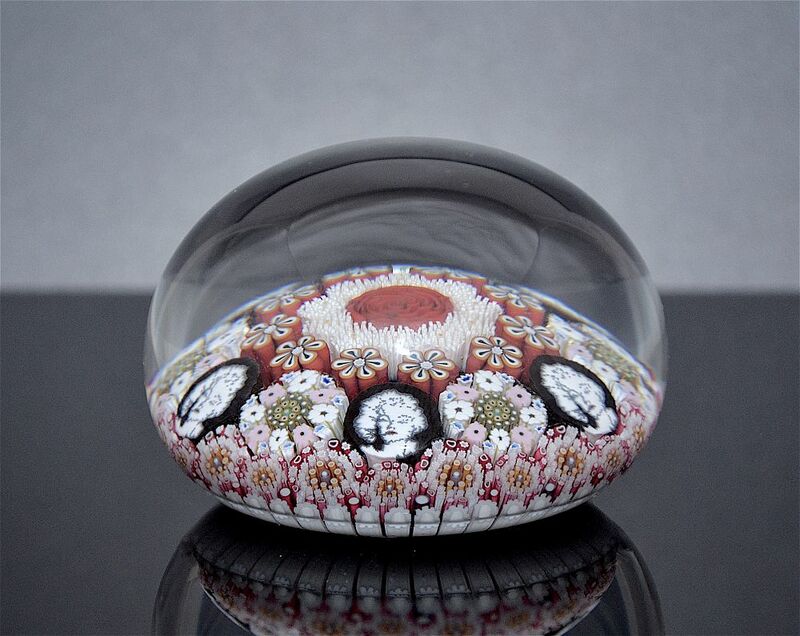 This is a gorgeous dramatic paperweight made by Michael Hunter for Twists Glass in 2016. 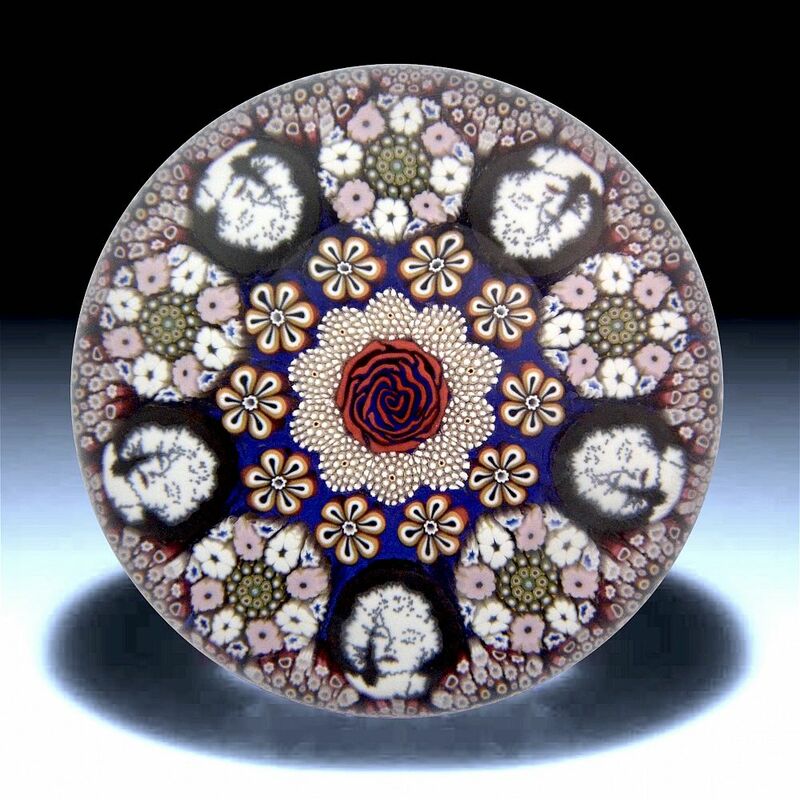 In the centre is a red rose surrounded by a ring of 10 small white complex murrine canes that in turn are surrounded by a ring of 10 orange & white flower murrine canes. The next ring comprises 10 large canes, 5 being Marilyn Monroe picture canes alternating with 5 large complex murrine canes with pink & white flowers & a flower centre. The final ring comprises 10 large and 10 small complex murrine canes with stars. The base is scratch signed "M Hunter Twists 16 1 of 1" and has Mike's personal "MH" signature cane and the Twists Glass studio label. Boxed in a white presentation box.